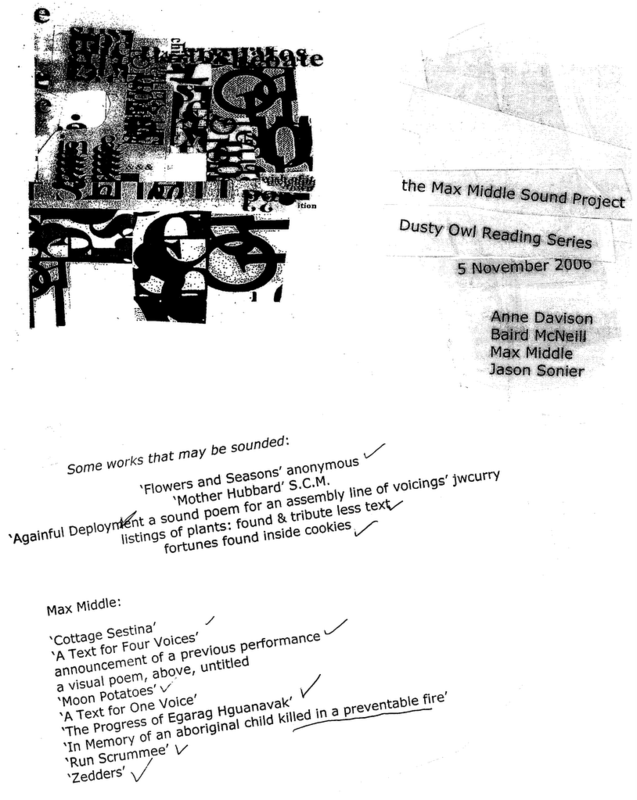 It's been a while since the Max Middle Sound Project performance as part of the Dusty Owl Reading Series. There's been time to debrief, self-critique & reflect. Part of the reason why these performances have worked so well is the way in which the pieces are organized: the patterned sequences linking one piece to another. On November 5th, the uncanny shift was the one that occurred between 'Moon Potatoes' & 'Againful Deployment' (latter by jwcurry). An intense series of readings, it took us around 45 mins to complete. It was a vocal performance, no instruments, & literary rather than musical. We performed a bunch of multi-voice sound poetry pieces including 'Againful Deployment' by jwcurry, as well as some found text. 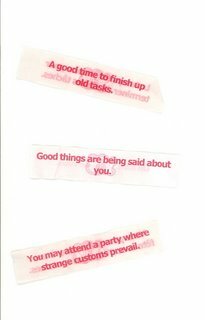 We read our fortunes & ate the cookies too!! This performance was an astonishing accomplishment which could not have been executed without the excellent performers, Baird McNeill, Jason Sonier & Anne Davison. Everyone read extremely well. With their permission, I'll eventually post a recording or two from the event to my web site. 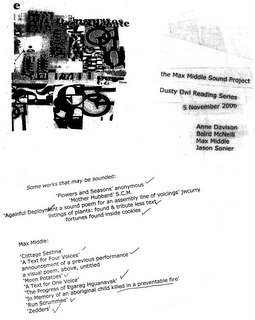 www.maxmiddle.com/files. Once I fought my way into the 'sense' of Kavanaugh Garage & started chanting it, the others joined, following Anne's lead; suddenly, we were all chanting 'Kavanaugh Garage', amazingly, waving our hands about as tho we were part of some crazed hip hop performance. Posted by Max Middle at 12:11 a.m.
Posted by Max Middle at 6:37 p.m.
Posted by Max Middle at 10:59 p.m.
Posted by Max Middle at 9:27 p.m.
* who is Egarag anyway? * any guesses? 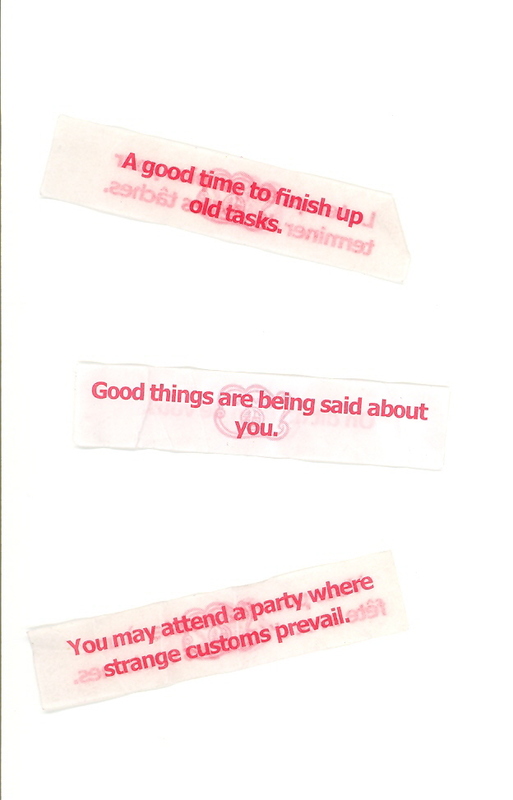 also recently updated the vispo page on the web site. Posted by Max Middle at 6:53 p.m.